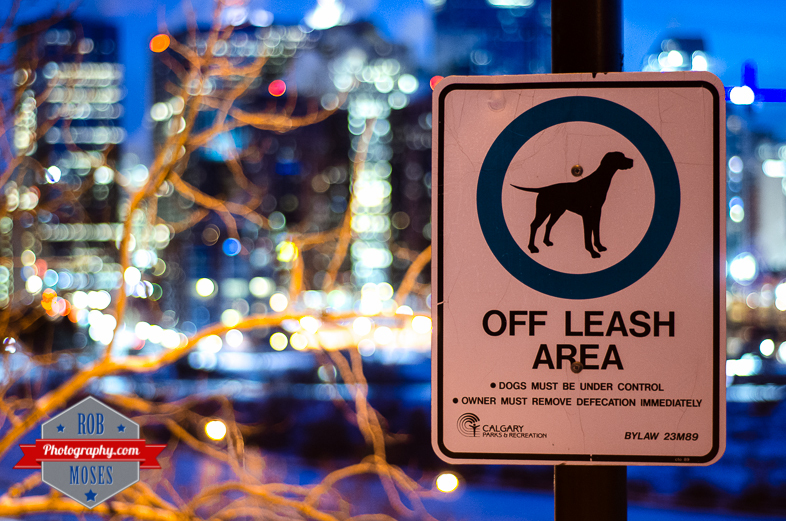 Here’s a random sign regarding dogs by the City of Calgary haha. Rather random, but I like the bokeh :). This entry was posted in Random and tagged 50mm, Alberta, beautiful, blur, Bokeh, building, buildings, bylaw, Calgary, Canada, city, City Life, dog, doggy, dogs, evening, k5, metro, night, Park, Pentax, Pentax-F, photo, Photography, pretty, prime, Sign, sky, Skyline, skyscrapers, SMC, street, Urban, winter, yyc. Bookmark the permalink. Agreed. The bokeh is really cool. Hahaha I hear that! I haven’t stepped in it in years and hope my run of good luck keep roll’n! Dude! That bokeh is off the leash! I know: it’s a smelly subject, but someone must uphold the purity of the English language, no matter how onerous (or ordurous) the duty . . .
And, after that brief intermission, let me note that this is another great shot. Haha your a funny guy Dan! ;). wow…I like it as well, such a complete contrast with the sign!!! Sorry for the slow reply Heather! Must have missed this one some how. Anyhow, thank you about the picture :). Nice photo – always love seeing the funny ways/choice of words used on various signs. Be willing to bet it’s not always effective, especially the “under control” part. Many of the off leash parks we’ve been to seem to be more for *owners* to gather and socialize, rather than for their dog’s benefit. Oh cool 🙂 thank you!